Jim Geraghty of National Review and Greg Corombos of Radio America celebrate the arrest of the founder of Wikileaks leader Julian Assange, the man responsible for the largest publication of classified material in history that risked compromising American troops and operations. They also remember all the times the media pushed disgraced attorney Michael Avenatti as a serious candidate for 2020 after Avenatti was indicted on 36 charges of tax dodging, perjury, and theft from clients. 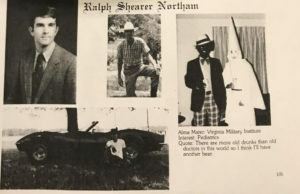 And they wonder what lessons have really been learned in Virginia after Democrats in the state apologize for rushing to judgment on Ralph Northam. Jim Geraghty of National Review and Greg Corombos of Radio America breathe a sigh of relief after an ISIS-inspired terror plot targeting Maryland’s National Harbor was stopped. They also take a look at the recent polls in Virginia and speculate as to how state Democrats are mired in horrible scandals yet the voters want none of them out of office. And they not exactly surprised to learn that former Senator Majority Leader Harry Reid was caught in multiple falsehoods in claiming a fitness company’s negligence was responsible for his bizarre facial injury four years ago. Reid’s case has been thrown out. After a review of Greg’s harrowing trip to the DMV, Jim Geraghty of National Review and Greg Corombos ask whether the the Democratic Party is trying to kick Joe Biden to the curb as women now accuse the former vice president of unwanted physical contact in recent years. They also groan as House Judiciary Committee Chairman Jerry Nadler threatens to subpoena the unredacted Mueller report since Attorney General Bill Barr isn’t expected to release the edited version for a couple of weeks. And they examine the curious double standard of Democrats moving on from scandals facing Virginia Gov. Ralph Northam and Lt. Gov. Justin Fairfax now that one of the Fairfax accusers is telling her story on national television. Twitter bot shares tweets on Ricochet so you can have a conversation about them without the Twitter part. Scott’s Secret, Minnesota Mean? What Next in Virginia? Jim Geraghty of National Review and Greg Corombos of Radio America discuss the news that Virginia Democratic Rep. Bobby Scott knew about the allegation against now-Lt. Gov. Justin Fairfax before Fairfax took office. They also react to former staffers unloading on 2020 Democratic hopeful and Minnesota Sen. Amy Klobuchar over her alleged cruelty and constant criticism. 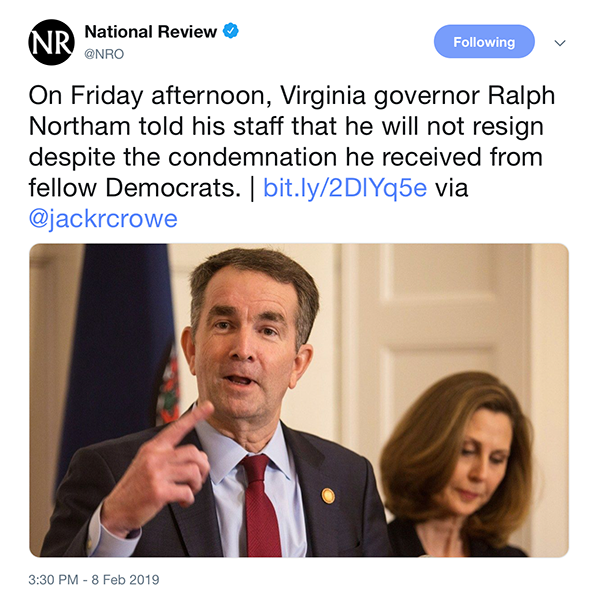 And they marvel at how slowly many Democrats are reacting to the political chaos in Virginia and conclude that none of the officials embroiled in controversy will actually resign. Jim Geraghty of National Review and Greg Corombos of Radio America see a teachable moment as New York Gov. Andrew Cuomo blames President Trump and the GOP tax reform for many wealthy people leaving his state over high taxes, but the solution would seem to be pretty simple. They’re also surprised to see 50 percent of Democratic voters in Virginia approving of Ralph Northam as governor – even after the yearbook controversy. And they react to the accuser of Virginia Lt. Gov. Justin Fairfax hiring Christine Blasey Ford’s legal team. Virginia’s Lt. Gov. 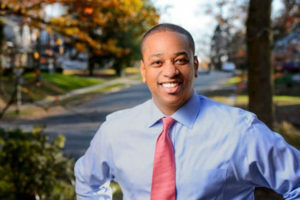 Justin Fairfax might have as many problems as embattled Gov. Ralph Northam. Big League Politics, the same outlet that broke Northam’s yearbook photos, published a woman’s claim that Fairfax sexually assaulted her. The Washington Post had previously investigated the issue but decided not to publish. Fairfax and the woman told different versions of what happened in the hotel room with no one else present. The Washington Post could not find anyone who could corroborate either version. The Post did not find “significant red flags and inconsistencies within the allegations,” as the Fairfax statement incorrectly said. He said part of the reason he thinks that is, is because he vividly remembers another situation where he blackened his face to portray Michael Jackson at a dance contest in San Antonio in 1984, after graduating from Eastern Virginia Medical School. Gov. Northram is . . . Smart? Thirty years in television production. Living in a midwestern city in the productive custody of his wife and four children (Baby Girl, Marine, Future Tony Winner & Xerox). Unrelenting, unrepentant conservative. Needs a better temperament that equals his photoshop skills. Will probably die broke but believes more in freedom than the welfare state. Jim Geraghty of National Review and Greg Corombos of Radio America are glad to see President Trump making a detailed case for border wall funding in tonight’s televised address, a more effective strategy than tweets and sound bites. They also like National Security Adviser John Bolton’s clarification that the Trump administration does want to get our troops out of Syria but we also have no intention of letting ISIS grow again or letting Turkey slaughter the Kurds. They slam the door behind failed Virginia GOP Senate and gubernatorial candidate Corey Stewart, who says he will not run for re-election to his local office and is getting out of politics. And Jim is in rare form as he and Greg discuss the fact that every year is an election year in Virginia. Jim Geraghty of National Review and Greg Corombos of Radio America toast better-than-expected unemployment numbers, the best in 18 years. They also lambaste Virginia Republicans for rolling over and approving the Obamacare Medicaid expansion they claimed to oppose for years. And they dig through more eye-opening posts from Joy Reid’s supposedly hacked blog, including her likening of John McCain to the Virginia Tech shooter, endorsing the removal of the Israeli government to Europe, and likening illegal immigration to slave labor for multinationals. 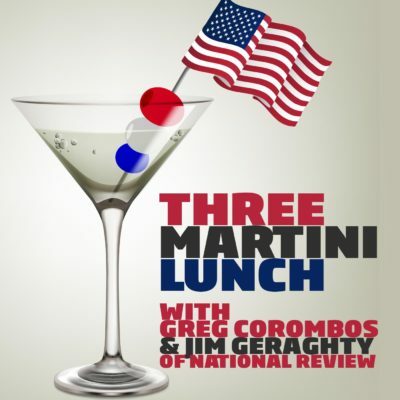 Jim Geraghty of National Review and Greg Corombos of Radio America enjoy three good martinis today. First, they get a kick out of President Trump blasting former aide Steve Bannon over Bannon’s comments in a forthcoming book, with Trump saying Bannon has lost his mind. They also celebrate the Dow Jones Industrial Average crossing the 25,000 barrier for the first time, and point out that businesses have some certainty that they’re not about to get blindsided buy tax hikes or burdensome regulations for at least another three years. And they enjoy the news that the Republican candidate won the tiebreaker in a Virginia legislative race, giving control of the chamber to the GOP for the next two years. Jim Geraghty of National Review and Greg Corombos of Radio America are pleasantly surprised to see incoming Democratic Virginia Gov. Ralph Northam back away from pushing Medicaid expansion, much to the consternation of liberals. They also shudder as a new generic poll of voters suggests Republicans are in for a very rough 2018, as Democrats lead big among women and young people and even hold slight edges among men and senior citizens. And Jim sounds off on actor Matt Damon’s insistence that he never knew about any of Harvey Weinstein’s alleged sexual assaults and harassment. Welcome to this special edition of the Harvard Lunch Club Political Podcast – because, well, because, …, because, because, because, because, becaaaauuuuse – because we wanted to do more to fill the world with silly podcasts. In this special edition we talk about three topics. First, what happened in Virginia? Was it the repudiation of Trumpism? Was it rather the repudiation of NeverTrumpism? Is there any meaningful justification for the continued existence in the pundit sphere of Evan McMullin, Bill Kristol, Jennifer Rubin, Bret Stephens, etc, etc, etc??? Mike tries his hardest to advance the “dignity in the White House”/”the (Grand Old) Party is better off out of power than being trodden upon by Trump” arguments of the McMullin holdouts amongst our listeners. We know you are out there. I won’t go as far as to say that we feel your pain. A year after Donald Trump’s improbable win, voters went to the polls in Virginia to elect a new governor—a contest that was, in part, a referendum on Trump’s nascent presidency. Hoover senior fellow and renowned pollster Doug Rivers breaks down the Old Dominion vote and what the results say about the effectiveness of Republican and Democratic messaging on the verge of the 2018 midterm elections.